Mesa Verde National Park is in the South-West of Colorado, in Montezuma county, and covers a surface of about 211 square kilometres. Over the whole land there are scattered villages built by ancient people called Anasazi and found after their abandonment by the Navajo people in XVI century. We still don’t know why the Anasazi left their homes, but a possible explanation lies in the climatic changes which occurred in the region. Heavy snow, in fact, made the land less than comfortable and gathering food became more and more difficult. This peculiar villages are called cliff-dwellings and they were built into holes in the rocky walls similar to balconies. At the beginning the buildings developed vertically, under the ground, and they would take a lot of room. Later the Anasazi – probably around XII century – improved their building skills and had the villages to take cover behind the rocky creeks. The buildings, made of mud and stone, began to look similar to our modern houses and rised to more floors, combining together into grapples known as pueblo. In some rooms you can still find the remains of a fireplace and it is believed that the buildings were linked to each other. Some of them were used as storage rooms, while others called kivas hosted religious rituals. All over the park there are about 600 settlements, most of them are very small. The biggest ones have their own names and are open to visitors. The Cliff Palace is the biggest one, with 220 rooms and several fireplaces. The Spruce Tree House is the best preserved and it looks like it had a population of about 80 inhabitants. But the most spectacular is probably the Balcony House, whose position allows for breathtaking sights over the landscape. To get close to it you have to go down through a steep staircase in a canyon and climb to the buildings with a ladder. Visitors are not allowed to enter on their own, instead they have to book a guided tour which starts at a fixed time. During the tour you have to be careful about loose stones and short walls, and especially about sudden holes in the ground which often marked the entrance to storage rooms and underground cellars. Getting down there is up to you. 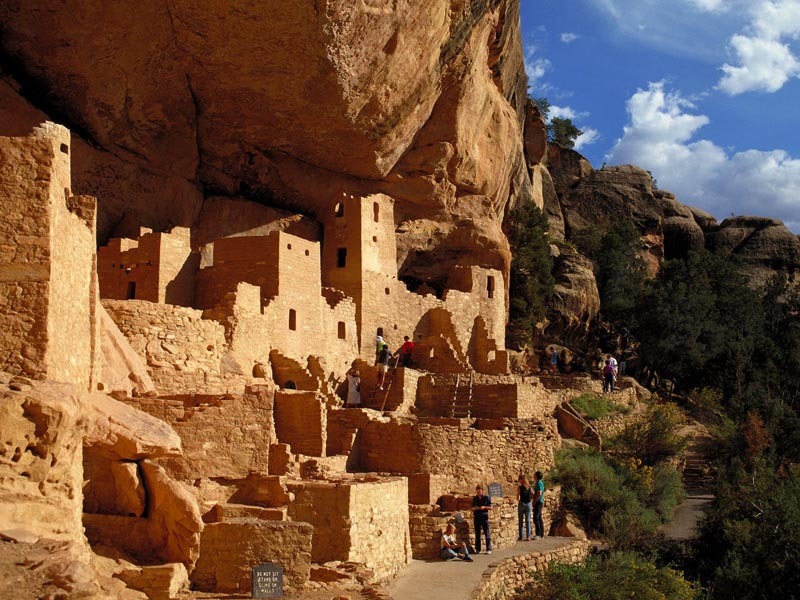 The park was called Mesa Verde by the Spanish explorers because of the large plains covered by a thick vegetation. But the villages carved in the rocks were found by Native Americans and later became popular through the coverage of journalists and photographers. The first visitor to bring great popularity to the park has probably been Gustaf Nordenskiold, the son of a famous Finnish explorer. He started with the first scientific diggings and explorations, producing therefore a great amount of data and photos. He was jailed the accusation of having harmed an area of huge historical significance, but was freed shortly after. When he returned back to Finland he made Mesa Verde a world renown site through his studies and all his findings have been collected in the Helsinki Museum. Notwithstanding all of this, and being it an UNESCO Human Heritage Site since 1978, Mesa Verde didn’t come under the fire of mass tourism. Instead, it’s very common to meet the modern inhabitant of this place: squirrels. Not as sociable as their Californian cousins, but still a meeting which makes you feel part of an untouched natural paradise. Not a desperate, but a happy housewife, I cry every time before leaving for a new journey, and then cry again when it's time to get back. I heard I am a good cook, and I'm sure to be a good fork. I write my journals since I was in Middle School, and now they have become travel diaries on www.thegretaescape.com. 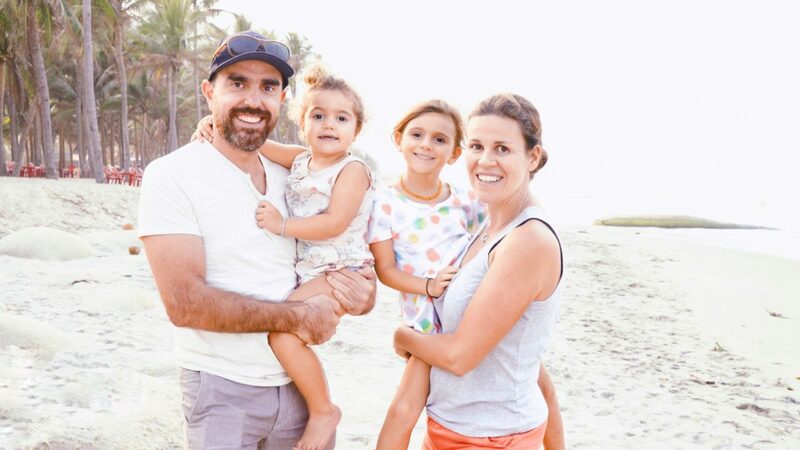 I love sushi, my three cats and of course my husband, who shares with me every journey and every exciting experience!